COMPANY PROFILE RSA Insurance Group PLC is a property and casualty insurance company providing offerings across the globe. It provides personal, commercial and specialty insurance products and services. RSA Insurance Group PLC is a property and casualty insurance company providing offerings across the globe. The company’s different types of coverage include personal insurance, commercial insurance, and global specialty services. The personal insurance line includes protection for homes, vehicles, pets, and valuables. The commercial insurance line is geared toward business owners, while global specialty places emphasis on highly specialized or multinational businesses. The vast majority of RSA Insurance’s premiums are distributed directly to customers. 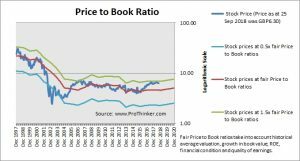 At the price of GBP6.30 as at 25 Sep 2018, Rsa Insurance Group Plc is trading at a Price to Book Ratio of 1.6 times current book value. 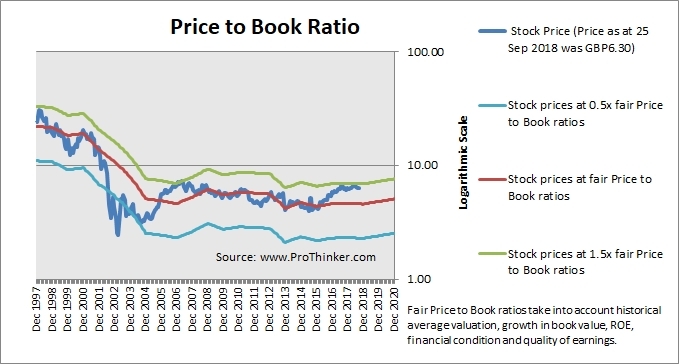 This is a 37.0% premium to current fair Price to Book Ratio of 1.2 times.